What does the Bell root word mean? In peace, sons bury their fathers; in war, fathers bury their sons. —Horodotus, Greek historian, ca. 500 B.C. For those who have watched Murdoch at close quarters, his belligerent attitude came as no surprise. 11. Pax in bello: Peace in war. 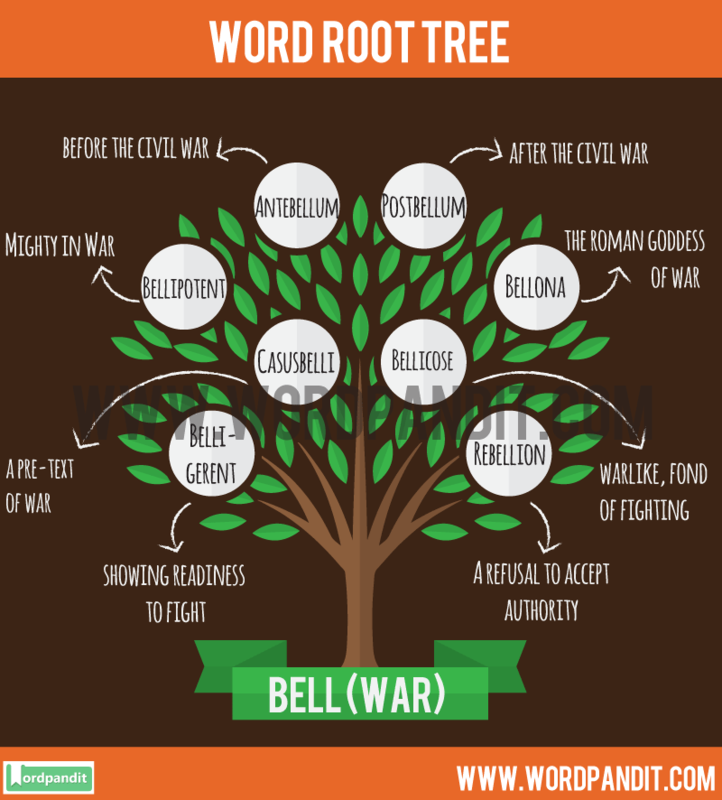 Hope you are able to learn some words related to Bell Root Word from this article. Remember, it is all about increasing your vocabulary and word roots is a wonderful method of learning multiple words at the same time.